Want something special for your event then addplant has the solution for you we have a range of units to suit your needs. Just give our team a call and we will recommend the right unit for you one that both looks the part and can cope with your requirements. Our toilet trailers come in 4 different sizes so we can cater for any size of event and we have multiple units of each so if you require more than one we can accommodate! These units look great and are very quickly set up by our team. We can also provide attendants if required. Give our team a call on 01482 867 227 to know more about event toilets. Optimise your event with our on-site portable toilets or specialist toilet units and showers today! Do you have an event coming up where you need something more than your average portable toilet? Maybe you’re organising an outdoor party where event toilets will be a must? Seen the wedding venue of your dreams but need additional toilets located in the marquee or just outside? Addplant understands that sometimes in some situations, your standard portable toilet units just won’t do. You need something more. Something that gets people talking about your event/party for all the right reasons – and we understand when it comes to toilet facilities these can’t let you down. That’s why as well as portable toilets, we provide mobile event toilet facilities available to hire. Our event toilets do vary in style depending on your requirements, but what we can guarantee is that both our loos and our teams won’t let you down. Is event toilet hire for you? When it comes to organising your event, standard portable toilet units are the most popular choice. Mainly because in some cases we feel like they’re our only choice. But we’re here to tell you that they’re not. Luxury toilet hire is a growing business, and it shows no sign of slowing down. People now look for a high standard and much more modern toilet facilities for their events, whether these be fixed or portable – customers and guests demand more. It is this demand and shift with the times that has increased the number of luxury event toilets now being available to hire. Seen as a great solution if you want to upgrade your facilities, offer something a little bit more, and offer something that maybe doesn’t look like a portable toilet, event toilet hire provides what you need when you need it! If you’re organising a wedding or a private garden party for instance, luxury toilet facilities are a definite must! You need to consider your crowd, your guest list and the type of event you’re hosting as these will be the factors that help determine which toilet unit is best suited to your requirements. However, at Addplant we’d recommend if your event is quite prestigious, or a once in lifetime event, like a birthday party, engagement or wedding, opt for luxury event toilet hire. Choose luxury and convenience and make your event an event to remember. Call 01482 867 227 to see how we can help you today. The Petite is a mobile self contained Unit containing two unisex ceramic toilets and wash hand basins providing both hot and cold running water. The Unit is the smallest in our Luxury Fleet making it ideal for smaller functions or when space is minimal meaning you do not have to compromise on style. The Petite Unit does require a 230 volt socket to function. However, the unit itself is one of the smallest in our fleet, perfect for more low key events or when the area/venue itself is limited. You can most certainly strike a balance between style and cost when it comes to the Petite unit – with two unisex ceramic toilets complete with hot and cold hand wash basins; these units can be the perfect fit for your event. The Classic is a Luxury facility that provides two female ceramic toilets accompanied by a hand wash basin contained within a vanity unit providing both hot and cold running water. One male ceramic toilet, two urinals along with a hand wash basin contained within a vanity unit. The Classic does require a 230 volt socket to function and a mains water supply, this can be provided if an external tap is not accessible. Longer in length and a little fancier in style is the luxury facility known as the Classic. With two female ceramic toilets both with hand wash basins, this unit also contains a vanity unit offering both hot and cold running water. In addition, the Classic also offers one male ceramic toilet and two urinals, with a hand wash basin within the vanity unit. Our bay toilet trailers are ideal (if we do say so ourselves) if you’re looking for something a little more aesthetically pleasing than the standard portable loos for your events. Plus, they’re also really cost effective too. Built onto a trailer chassis, these portable toilet have either six or 10 toilet cubicles. They’re also simple to install – we’ll drive them onto the site, unhitch the from our transporter, attach some steps, and they’re ready to use – all in a record-breaking ten minutes! The units operate a flush toilet system, and the hand basins can be divided into 6 or ten individual parts, depending on your requirements. You can choose to use the facilities as they are, or if you do have power available and we can connect to mains power, you can also offer hot wash hand facilities and lighting – again we can adjust depending on your requirements. Standard units are entirely self-contained, making them really easy to place anywhere the ground is even and firm. They’re also adaptable, so we often find them to be the perfect choice for camping sites, festivals, outdoor venues and more. We make sure all of our portable toilet hires will be fully stocked, and the standard units also come with a flush mechanism and a sink. Depending on the type of event you’re running we can also provide attendants to maintain and monitor the toilets as well as keep on top of the replenishment and cleanliness. Our wagons can deliver 1 to over 100 portable toilet units at a time, so our customers receive what they need quickly, avoiding any operational nightmares! We will replenish soaps, paper towels, and toilet rolls as necessary and refill water, removing and disposing of effluent, cleaning the toilet inside, making it ready for use asap. Do you want to make sure you have minimal to no queues when it comes to your event? Urinals can be the perfect solution for any event where you might find men having a few drinks! What’s more, using urinals alongside our standard portable loos will see much shorter queues for the lady’s standard toilets. If you’re organising an event, urinals are a quick, space-efficient solution for you to look to include! From luxury toilet trailers, to standard portable toilets, urinals, easy access disabled toilet units and showers we have the full range. 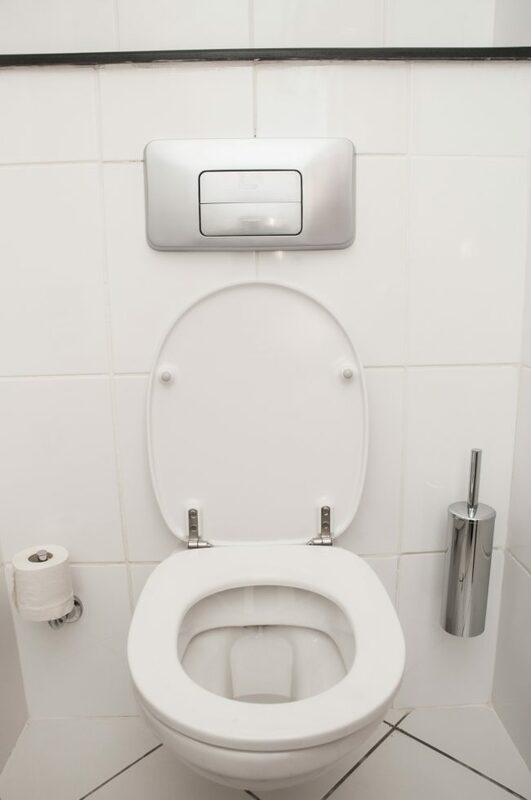 If you are planning an event and require advice about toilet facilities pleased give us a call on 01482 867227. We can also help if you require ticket booth’s, water supplies or electricity we provide the whole package and manage the process from end to end. From weddings and festivals down to family BBQs and garden parties, we have a portable toilet available to hire, suitable for every occasion. At Addplant we pride ourselves on being one of the biggest suppliers throughout Yorkshire and Lincolnshire, building up our reputation and our customer base over the years. There isn’t an event too small or a playing field too big that we can’t help you with. So, if you’re looking for luxury portable toilet hire for your event, look no further than Addplant. We’re also on hand if you need ticket booths, a water supply or even electricity. Providing the entire package and managing the entire process from start to finish. I’m organising an event and am unsure how many toilet facilities I should provide? How do I make an enquiry or place an order? Drop us an email, hire@addplant.co.uk, or give us a call on 01482 867227 our staff will be happy to advise you on your toilet requirements or if you already know what you need take your order. Once an order is placed we will confirm your order and delivery schedule in the week proceeding the event and the next time you hear from us will be at the allotted delivery hour! Do Addplant cater for small parties and events? Addplant cater for events of all sizes we provide single portable toilets for your BBQ or party right up to full welfare provision, including portable toilets, waste emptying services, ticketing booths, urinals, disabled friendly toilets and fencing for massive festivals, shows and concerts! Also because we have an extensive transport network throughout Yorkshire and Lincolnshire we can usually be relied upon to offer a cheap transport solution to get your portable toilets to you at a time convenient to you.